Ongoing subscription to the Coffee Club. You choose your grind and roast. Minimum subscription is three months to enjoy the discounted rate. You may cancel anytime after the first three months by calling or emailing us. The gift of "Aloha" is sure to please anyone fortunate enough to receive it. Contents include 1/2 lb. of our gourmet, 100% pure Kona coffee and comes in your choice of Medium or Dark Roast, Whole Bean or Ground. Also included are two 8 ounce bags of the finest Macadamia Nuts in Roasted and Salted and Frosted Chocolate to satisfy the sweet and savory taste buds in everyone! This gift includes our signature coffee mug and comes complete in a high-gloss, colored box and adorned with a beautiful colored bow. Our DARK ROAST is a Medium-Dark roast with a smooth yet bold taste. The beans are dark brown in color (think decadent dark chocolate) and whole beans will display more oil on the surface. This roast is a great choice in aiding digestion after a large meal and contains less caffeine than our medium roast. Enjoy a cup while watching the sunset or enjoying relaxing conversation with friends and loved ones. WHOLE BEAN (Recommended for Freshness) - Our 100% Kona whole beans are the most flavorful and produce that “fresh” quality everyone looks for in a delicious cup of coffee. Be sure to brew your coffee as soon after grinding as possible to ensure peak flavor. The delicate, sweet fragrant white blossoms of the Kona coffee tree called "Kona Snow", emerge between January and May and are the foundation for producing the Best Hawaiian Coffee Beans. Once the Kona Snow blossoms have been pollinated by some very busy bees, they will fade away and bright green coffee cherry will take the place of each flower. In a few months, the green cherry of the Kona Coffee Hawaii plants will become a rich, deep red and hold the Best Coffee Beans inside. Once, the cherries ripen and transform their color to beautiful red, professional pickers handpick the perfect fruit. This is important to ensure the Best Hawaiian Coffee to the doorsteps of our customers. In order to craft the best dark and medium roast Kona Coffee, we roast in small batches to ensure top quality and the ultimate in freshness. We offer only 100 Percent Kona Coffee, never a blend, boasting the perfect color, smell, and taste. Buying our Coffee Beans Online will provide you with the best tasting, velvety smooth flavor available in a cup of coffee. If you like the ease and convenience of buying your Coffee Beans Online, then look no further and order from us to ensure peace of mind that you will receive expertly roasted and the very Best Coffee Beans available and from Hawaii. A premium cup of the Best Hawaiian Coffee is the perfect way to start or finish your day. 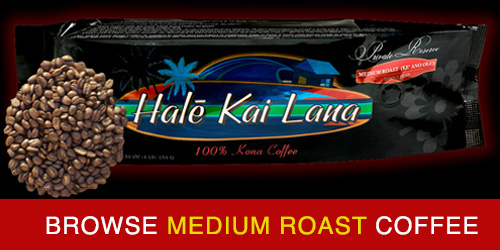 If you buy Hale Kai Lana Kona Coffee Online, you are sure to get the freshest, best quality product. 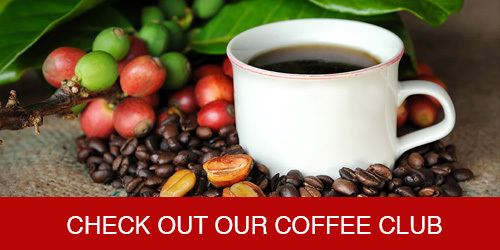 We offer the best Coffee Beans Online. Get your pick now! 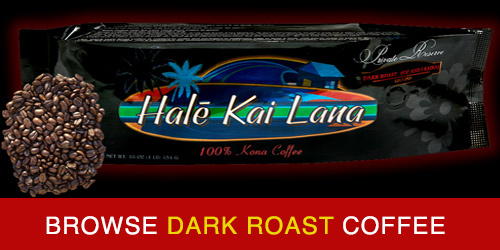 What makes Hale Kai Lana Kona coffee so special? 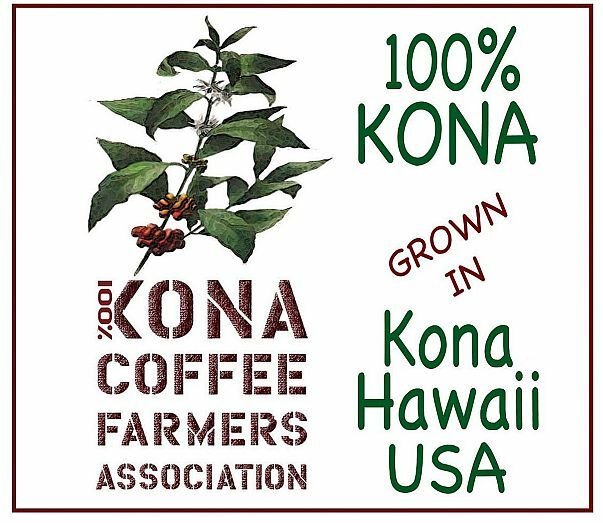 We only grow and sell 100% Pure Kona coffee. Some retailers sell “Kona Blends”. These blends contain a minimum of 10% Kona coffee and are cheaper than 100% Kona coffee, and obviously the taste is not equivalent to the real thing. Current Hawaiian law requires blends to state the percentage of Kona coffee on the label, unfortunately for Kona coffee farmers and consumers, this labeling law is unique to Hawaii and not required in any of the other 49 United States. 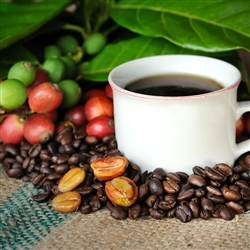 Because of this, many consumers believe they are drinking 100% Kona when in fact they are drinking a blend of any variety of coffee with perhaps a few Kona coffee beans thrown in. This way they can market under the Kona name but the quality suffers immensely, giving true Kona coffee a bad rap. We personally provide the care and oversight for all of our farms. Many coffee retailers purchase coffee directly from the Mill. 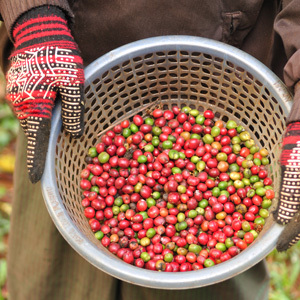 Although this may sound like a good idea, there is no guarantee as to what sort of quality one is getting when purchasing coffee this way because the beans from many different farms are all processed together. In order to produce the highest quality coffee beans, we need to be on-site to ensure that the maximum level of care is strictly implemented. Any number of things can affect the outcome of a crop; the amount of rainfall, invasion of pests or diseases, proper pruning, weeding and general care. In order to say that we offer the best-quality pure Kona coffee beans, we have to feel satisfied that we do! 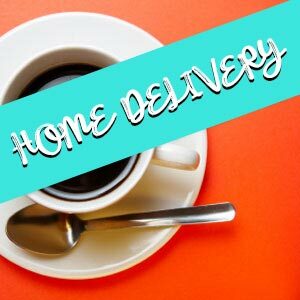 Would you like the convenience of having delicious Kona coffee delivered to your doorstep on a monthly basis? Look no further. Join our Coffee Club and you can relax knowing that your Kona coffee will be conveniently delivered to you. Discounted rates apply!. SIGN UP TODAY ! Sign-up for for our newsletter and get a 10% off coupon! 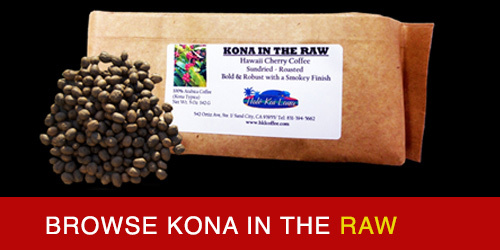 You'll get great deals on our Kona coffee and macadamia nuts. We keep all of your information private and do not share it with anyone. SIGN-UP HERE Thanks! Let us make your mornings a little easier. Sign-up for Hale Kai Lana's Coffee Club and enjoy convenient and easy delivery to your home. Are you a local to Monterey? Stop by and see us.We are open M-F 10:00 am - 5:00pm and Sat - Sun by appointment. 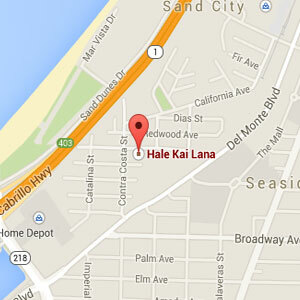 Our address is 542 Ortiz Ave, Ste 1 Sand City, California. We look forward to seeing you!